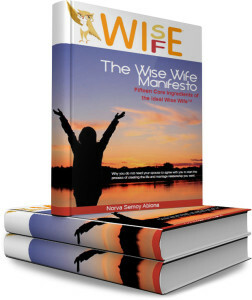 The Wise Wife continues to learn and grow over the years. She understands that she can gain insight from every situation she encounters. As she embarks on her quest we have identified Fifteen Core Ingredients of the ideal Wise Wife™ that causes her to stand out in the crowd. She is ready to learn, grow, practice and enjoy all aspects of the process and not just anticipate the end goal.